JLinker Menu Link Generator allows you to mass/bulk create menu links for Joomla. 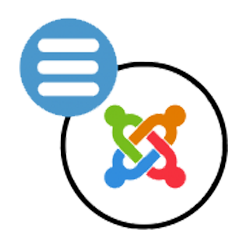 This menu link generator is able to mass create links for Joomla content and Joomla categories. Does not work on my Ubuntu Xenial PHP 7.1 Joomla 3.9 site. Hi, we tested this extension with joomla 3.9.2 on php 7.1 and php 7.2. it worked without problem. After more 'fiddling' I have more findings. It seems we are both right! 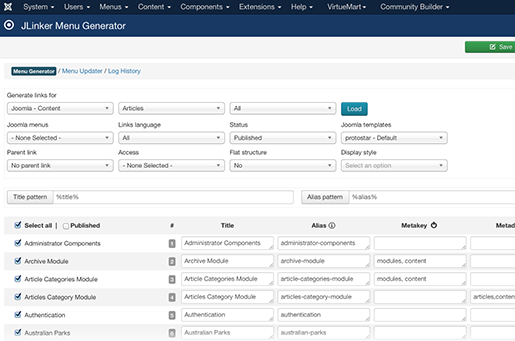 It falls flat on virtuemart content on PHP 7.1. Lots of warnings, white screens, mysql errors. HOWEVER, I switched the site to PHP 5.62 and virtuemart content works.